Wonder what life is like after graduation? Wonder what you should be doing now to make the most of your college years? 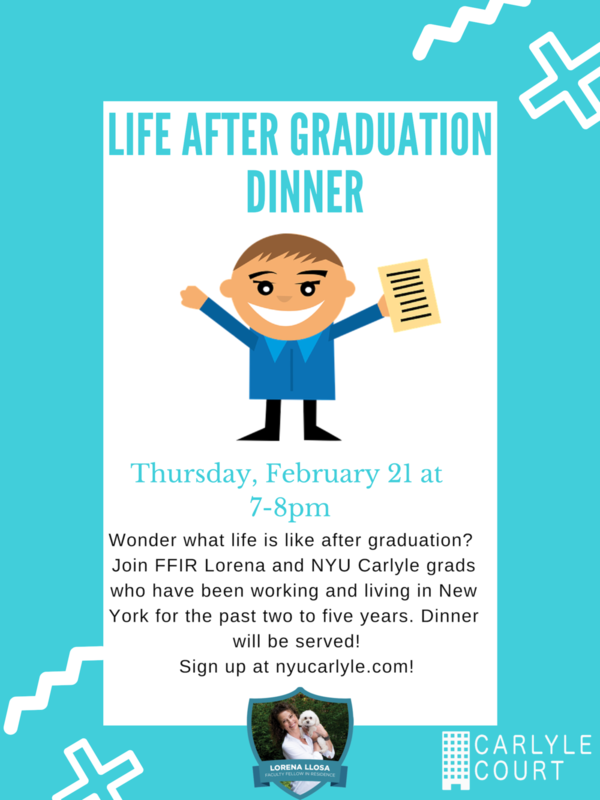 Join FFIR Lorena and NYU Carlyle grads who have been working and living in New York for the past two to five years. Dinner will be served! Sign up here to reserve a spot!